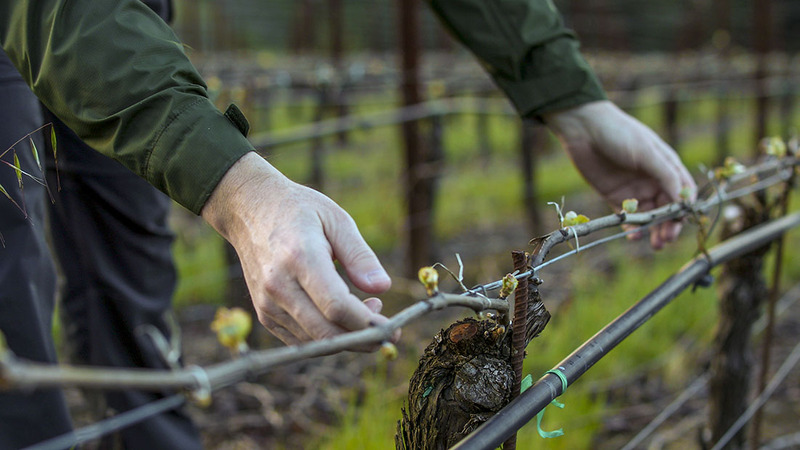 At 24 years old, our vines at Hyde Vineyard, are now fully in their prime window of fruit production. They have achieved a level of consistency and a pinnacle of quality since outgrowing the irregularity of youth; the grapes they issue forth are spectacular every vintage. It’s tough to follow such an incredible and acclaimed wine as the 2015, but our new vintage has all the hallmarks of another classic Hyde bottling. Slightly richer than its predecessor, there’s less obvious acidity here so the wine offers a broader and more immediate appeal. This is not a wine that needs to age more than a year or two to show its range. Similar to the 2013, it is rich while maintaining a dominant mineral spine and tremendous verve, with just enough acidity to buffer its deep, broad layers of flavor and texture. Gleaming with a pale gold straw color, notes of lemon curd, honeyed apple and white peach dominate, alongside cedar and nutmeg, caraway seed and truffle. This wonderful integration of fruit and savory characteristics carries through seamlessly from aroma to palate. It’s a sophisticated wine, pure and powerful with obvious vineyard-driven density, extract and inner depth. The finish is long with an underscore of earthy lees, oatmeal and spearmint. Drink soon after release until 2022.